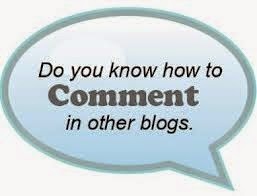 Do you know how to comment on blogs? If you say yes, then let me ask you a question. Will you spend time to read the blog post fully before commenting or would you just read others' comments and compose your comment without ever fully reading the blog post? Oh yes, one more question. Would you comment even that blog post did not offer 'comment luv', the facility given to you to leaver a link back? I have observed that the comments are more if there is a 'comment luv' offer. Most of the links that are left behind by the commentators are totally irrelevant to the blog post that they have commented on. This clearly indicates that they comment only to get a link back. Do not leave a comment if you have nothing to offer something meaningful.